I think it has something to do with the amount of time I spend in front of a computer screen. Lately, all I want to do is work with my hands, and make stuff in the kitchen. I don’t even have a nice kitchen. It’s literally 5×5. And I’m kind of a klutz, especially in small spaces. Which means a lot of broken dishes. Fortunately, my roommate forgives me. I just ply her with free wine every time something shatters. 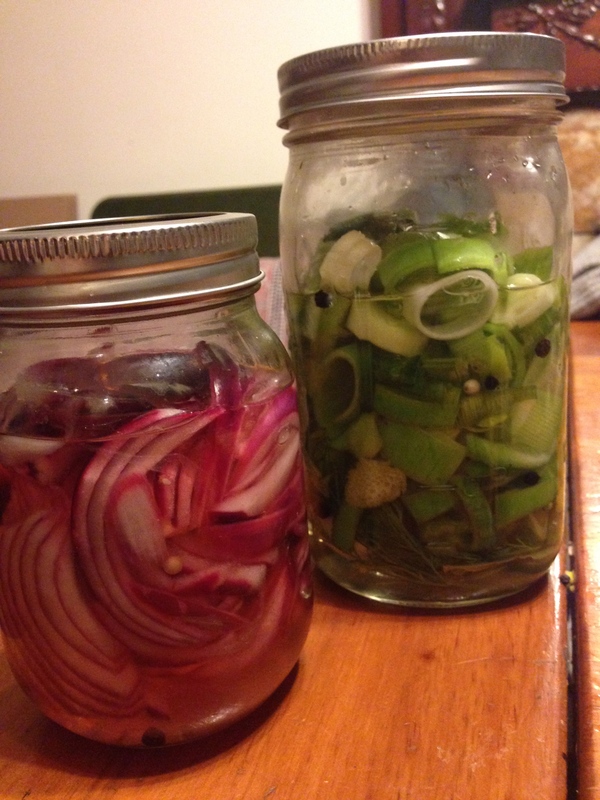 But this desire to use my hands has led me to discover the immensely satisfying practices of pickling and fermenting. In a way, it started with investigations I was doing for the website I write for, Collectively.org. First I talked with Tara Whitsitt about how she’s driving around the country in an old police bus, preaching the gospel of fermentation. It made me think about how, while some people are really focused on high-tech, futuristic ways of designing new foods — like cricket protein bars, for example — there’s also this movement to just go back to the things our grandparents did, in terms of growing and preparing foods in the most basic, natural ways. 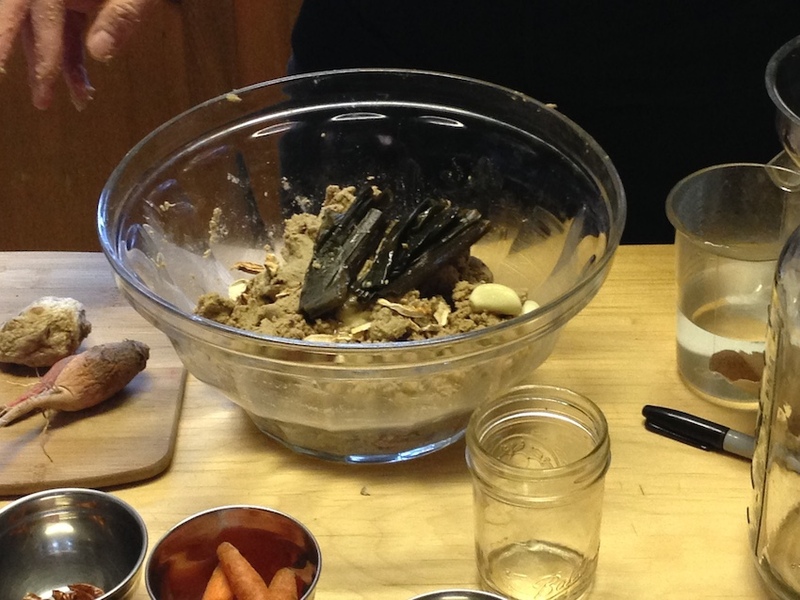 Michaela Hayes making a nuka-zuke pot at Ferment! Ferment! After talking with Tara, I attended a little festival called “Ferment! Ferment!” in Brooklyn, where I ate a lot of smelly foods and took a workshop about making a “nuka-zuke” pot with Michaela Hayes, who helped develop the pickling program at Gramercy Tavern before starting her own business, Crock and Jar. 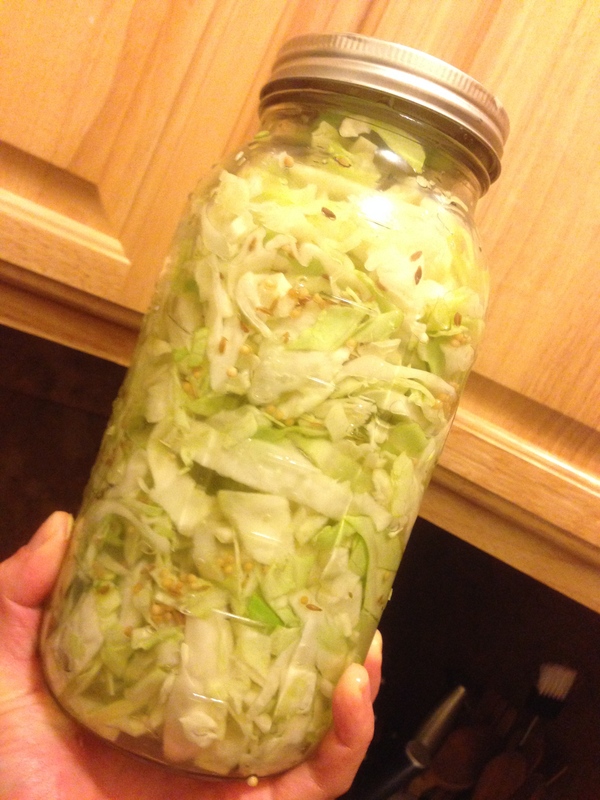 The nuka-zuke pot is definitely an advanced fermentation project, but she did give me a simple recipe for sauerkraut. My plan was to start with that recipe — but then my roommate went out of town and left a nice, fresh radicchio head in the fridge. I learned from research that chickories aren’t necessarily the best candidates for fermentation, but I thought I’d give it a shot anyway. Hayes advised me to add a mixture of water and a tablespoon of salt to the radicchio since it had not created its own brine. 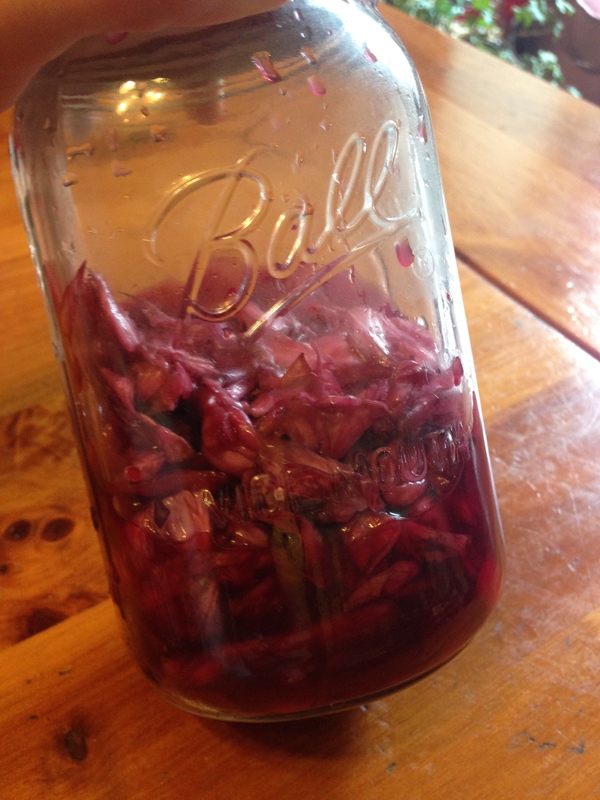 I let it ferment for five days, and it was ready — and it tastes awesome! For my next experiment, I turned to this great cookbook by the English chef Arthur Potts Dawson, who founded the People’s Supermarket in London and is an advocate of the veggie-forward lifestyle. I tried his recipe for kraut and it’s now fermenting away happily in a cool, dark cabinet. Meanwhile, I’ve also been pickling onions and leeks. This started when I cooked a Passover seder for a bunch of friends and I made chicken liver pate, which is one of my absolute favorite things to make because it’s soooooo easy (we had a “Passover-inspired” meal, by the way, with brisket and matzah ball soup, but everything else fairly non-traditional). I needed pickled onions, so I threw them together that morning, and by dinner time they were tasting fantastic. Quick pickle is the way to go!